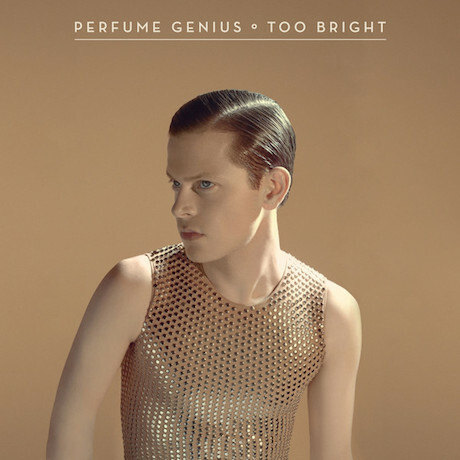 It's been a while since we heard from Seattle pop brooder Perfume Genius (a.k.a. Mike Hadreas), but that's set to change this year as the artist has announced his third LP. Called Too Bright, the album is "less self-conscious, and less concerned with storytelling and easily digested melodies," a press release promises. The record is also described as being reminiscent of Kate Bush's The Dreaming or Scott Walker's Tilt. The album was recorded with Portishead's Adrian Utley and features John Parish on several tracks. Hadreas says that the album is inspired by "an underlying rage that has slowly been growing since ten and has just begun to bubble up." Matador will issue Too Bright on September 23. The album's tracklisting is available below, as is a stream of new song "Queen" and all of the artist's upcoming tour dates. These include a stop in Toronto on October 4.